Now a days there is an increasingly vast number of web accessible devices available. How to make a website look great on each and every one of them? Responsiveness is a solution for most of the websites. 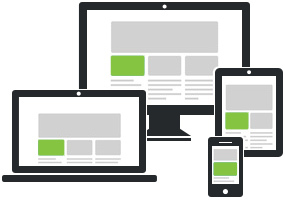 Responsive websites adjust themselves to the device or browser screen size, which means users do not have to zoomin / zoomout and scroll from side to side on devices such as tablets and smartphones. I.e. 3-column content on a desktop PC will become 2-column on a tablet or iPad and 1-column on a smartphone. Basically, it’s adapting the website content so that the design can be 'functional' across the majority of devices and browsers on the market.